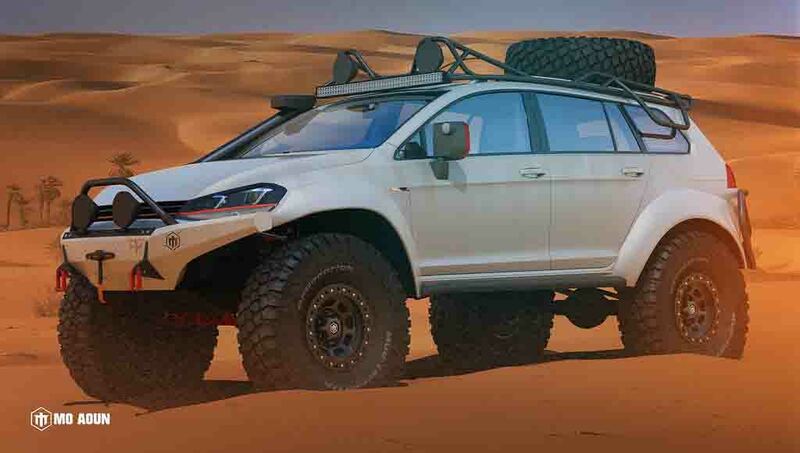 Volkswagen Golf Alltrack is certainly not built for smashing the sand dunes, but the vehicle has been rendered as an extreme off-roader. Drawn by automotive designer Mo Aoun, the vehicle appears with standard Volkswagen Golf Alltrack’s silhoute. 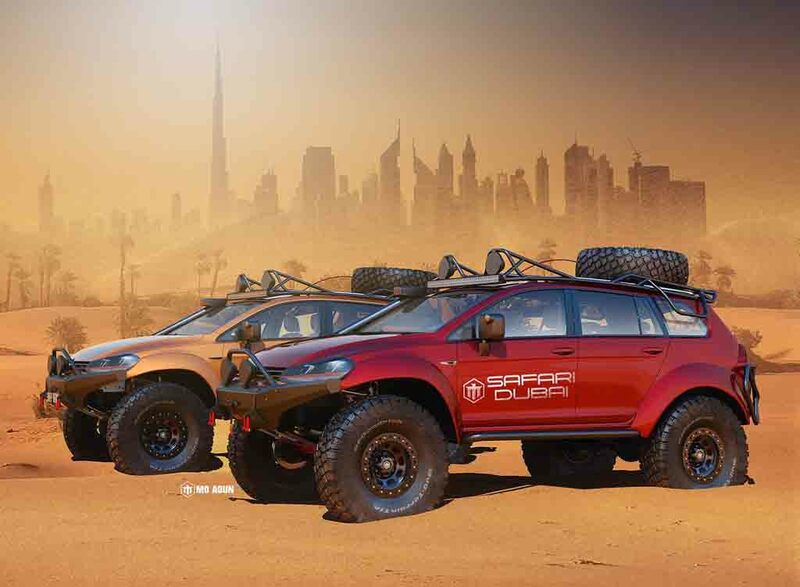 But, the vehicle appears very aggressive and ready for hitting dirt thanks to the accessories and modifications made to it. The first thing noticeable is the very high ground clearance, which certainly helps the vehicle in running through rugged terrains. Up front, it gets special body protection, tow hooks, marker lamps. The snorkel is also visible that helps it in getting into water without trouble. The roof mounted lights are something necessary for off-roading in dark. The spare wheel is fitted to the roof carrier. Rear profile also boasts some body protection. The flared fenders, metal footplate are the other elements visible in the rendering. It runs on massive and meaty BFGoodrich tyres. 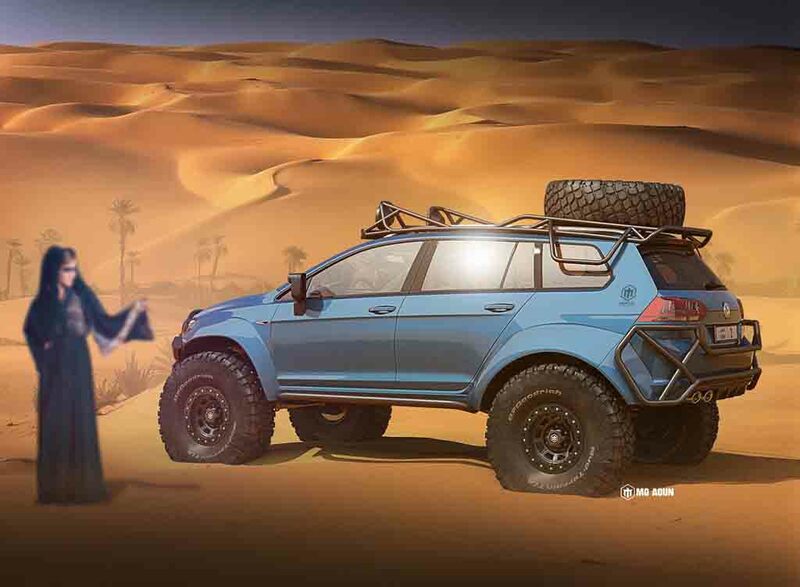 To become a capable of off-roader, the Volkswagen Golf Alltrack gets modified suspension as well.Overall, the rendering shows how the regular vehicle can become an efficient true blue off-roader. Not only the exterior, inside the cabin also this car is expected to receive some change. 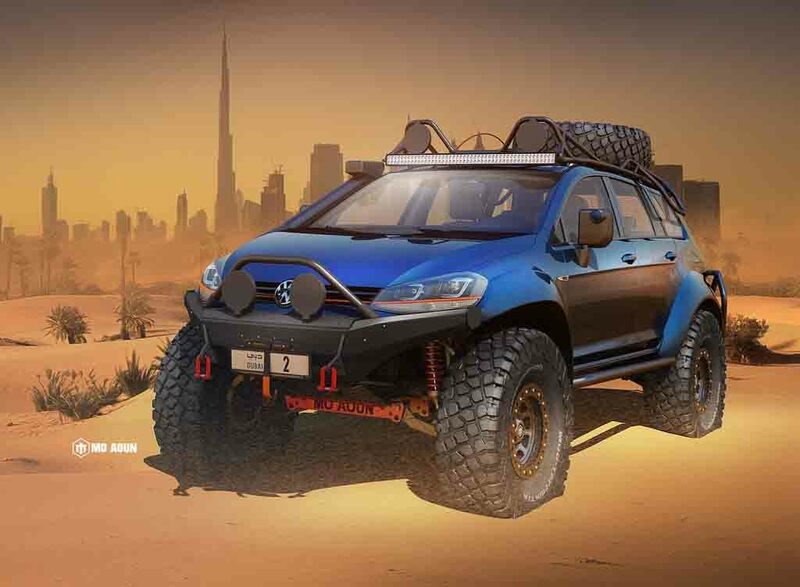 It could don a black theme inside the cabin that will help the Volkswagen Golf Alltrack sporty looking.As the rendering shows, such vehicles can become perfect safari cars for the tourists in Dubai to explore the sand dunes of Arabian desert. Such a vehicle needs a very powerful engine too. In that case, this could draw energy from a 2.0-litre TDI diesel engine available under the hood of Volkswagen Golf R. This engine is capable of churning out 310 PS of peak power and massive 400 Nm of peak torque. It is not sure, if we would see such a car in reality anytime soon, but we hope some enthusiasts will be inspired by the rendering and get their hands dirty in making such a machine.